Bizarrely, I seem to have amassed 4 uneaten christmas puds from last year. Mainly because I hate Christmas pudding and people like to give them to me as Xmas gifts. Why is this?? Is it because everyone secretly hates Christmas puds and we’re all just recycling them as gifts to get them away from us? TOP FACT: Christmas Puddings are RUBBISH gifts. What makes a great gift? 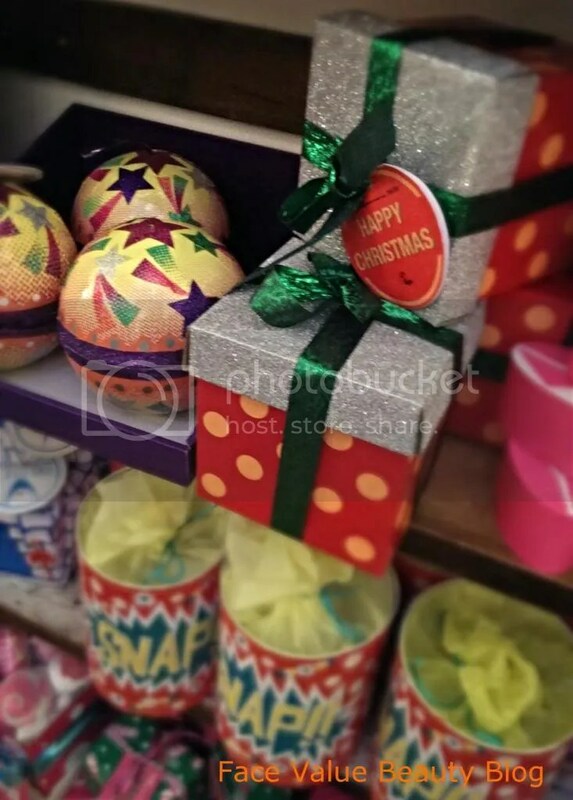 Err – prime example – the Lush Christmas 2013 holiday range. Today’s blog post provides some fab examples of what would make great gifts for me! 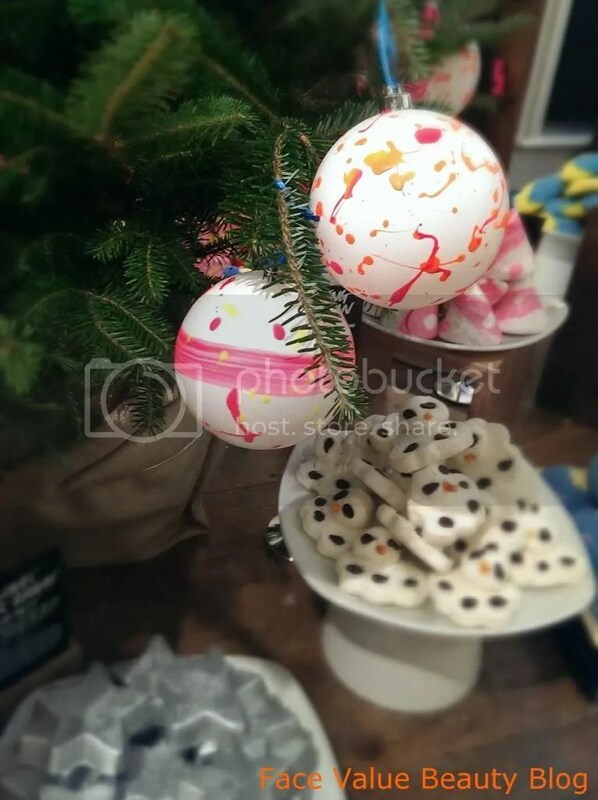 I attended the Lush Christmas preview this week which showcased all the products released for the holiday season. Contenders ready? 3-2-1 start your lusting NOW. Inspired by British icons like David Bowie and William Morris, the Lush Xmas drop has a great range of adorable themed goodies and pre-boxed gifts. The good news is, they’re all available in store NOW and if you shop online, they ship worldwide. Let’s take a look…. 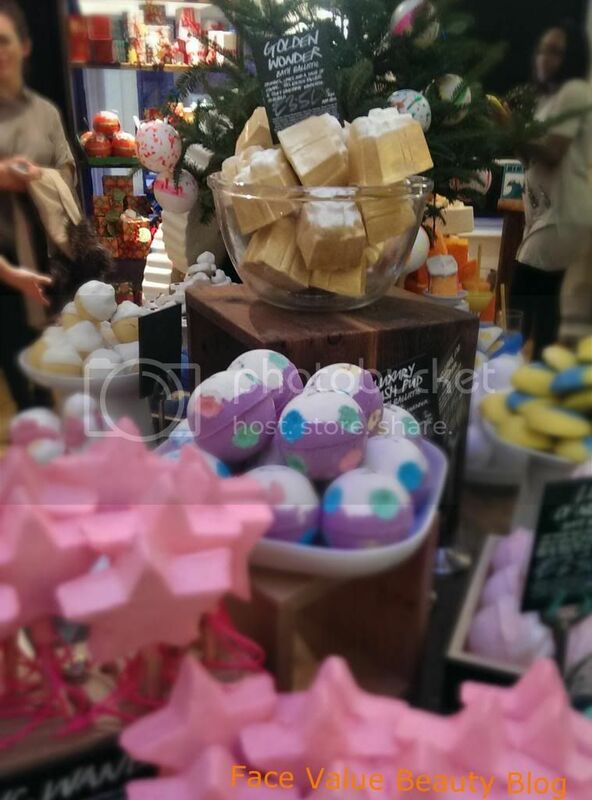 It’s beginning to look a lot like Lushmas. Here’s something I wrapped earlier.. The pre-boxed gifts this year again cover a number of budgets and beauty concerns. Ideal for those who don’t know what they’re dealing with here – e.g Mr Face Value who’s like – what’s a bath bomb..? Plus they look FAB so they’re even better for anyone who’s rubbish at wrapping gifts! 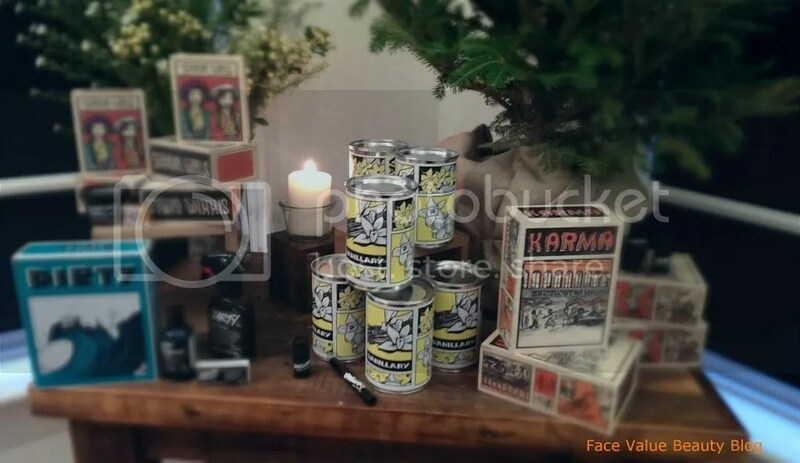 I’m hankering for the WOW box which has EVERY SINGLE Lush Christmas item in there except for the fresh ones. W-O-W. 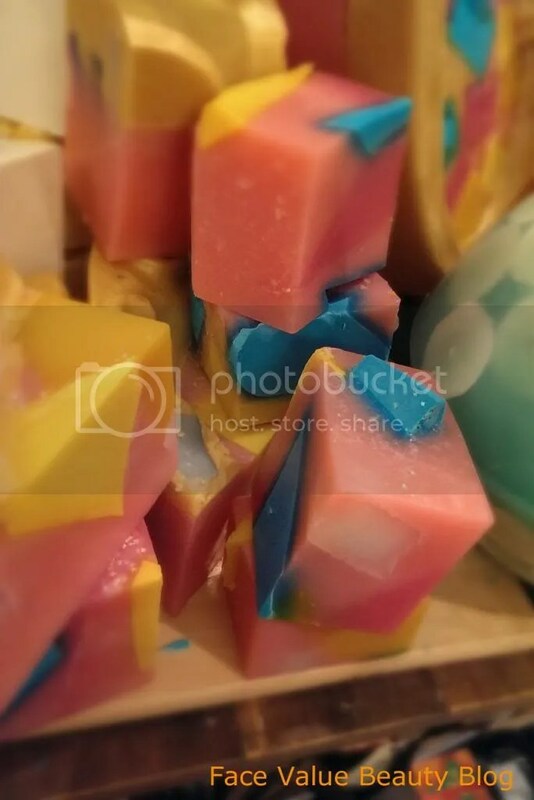 This is the Lush Angels Delight soap which is gorgeously fruity and looks BEAUTIFUL. I wish I could just have an acrylic chunk of this to have as a table decoration…. There’s also a soap called Mr Punch and it has GIN in it! Amazing. And onto the collection of Christmas bath bombs, bubbles bars and bath melts. A great mix of scents from fruity or spicy with a range of creamy, moisturising or fizzy textures. One bath bomb has popping candy in it! My fave of the bunch? 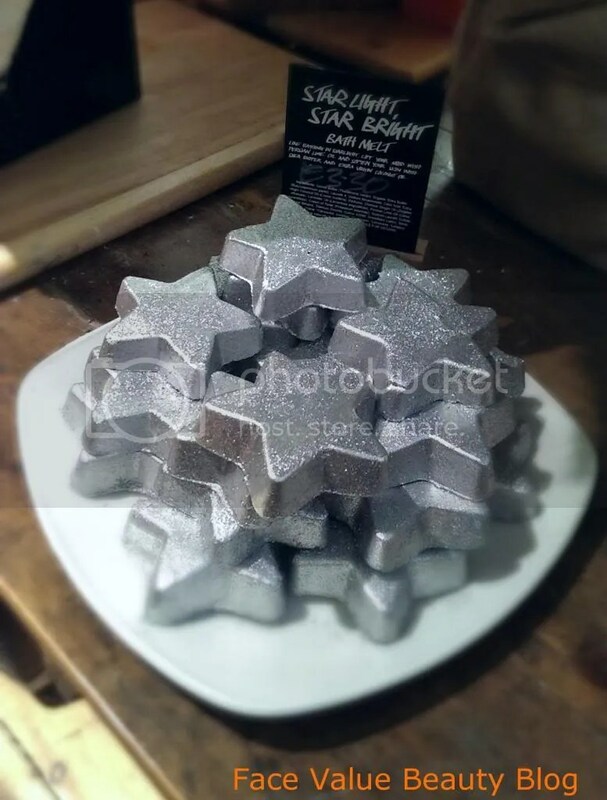 It’s gotta be this Star Light Star Bright bath melt. It’s got ginger and lime in it, it smells HUH-MAZING and also leaves a sparkling shimmer on the skin – perfect for the pre-party pamper..
Have you been down to Lush to see the new range yet? Have any of these caught your eye? Do you prefer fruity and sweet, or spicy and zesty? I’m a fan of classic “christmas” scents like clove and ginger, but normally, i’m all about the citrus! When is it acceptable to start making mulled wine? Is October too early?! Next Post MONEY MONDAY: You 4 Your Current Account 4eva?